Habitat Lake, pond, and backwater of stream, with aquatic grass. Range in Japan Almost entire Japan mainland. Impact Predation on native species including fishery species. Affected organism: Fishes, amphibians, freshwater invertebrates, etc. 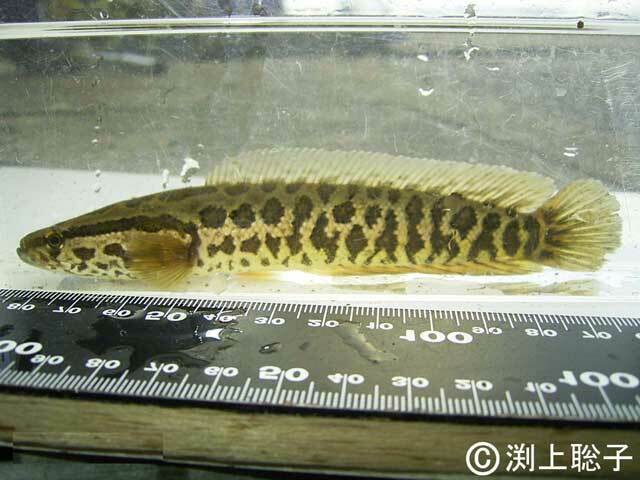 Regulation in Japan Introduction of this species is prohibited in Hokkaido, Nagasaki, Yamaguchi, Aichi, Shiga, and Gumma Prefs. For fishes of genus Channa, keeping and release are prohibited in UK, and import and transport are prohibited in USA. Introduced range in other countries California, Florida, and Maryland, USA. Origin and date unknown.